You might be familiar with the latest commenting system Google has introduced that integrates Google+ comments with Blogger blogs. This new commenting system is a major improvement over the default Blogger system, and it supports threaded comments. It also looks a lot better. We earlier shared a tutorial on how to enable this new Google Plus commenting system for Blogger blogs. But some people still have problems implementing it on custom templates. For them, we have compiled this short tutorial on how to effectively implement and use this new improved commenting system. To enable Google Plus comments for your Blogger blog, you will first have to connect your account to your Google+ account. To do this, just follow these steps. Click on the Get Started button on the top-left side to connect your account. This will not appear if your account is already linked. Follow the simple instructions to connect your blog. Once connected, you will see an option Use Google+ comments on this blog. 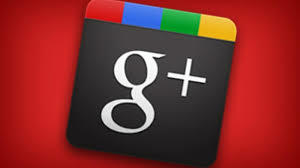 Checking this will enable the new Google Plus commenting system. This will turn your Google Plus comments on for default templates. But it won't work for custom templates. For that, you will have to tweak your template source code and make some edits as instructed in the section below. There are two ways to do this. You could either use the easy way, which is the Revert to default option, or you could do it the geek way, which is via the HTML editor. Custom templates have customized widgets that usually override the default settings. And that is why this commenting system might not work with custom templates. However, if you were to somehow remove those overrides, the commenting system would display on your blog without a hitch. To do that, you can revert your Blog Widget to defaults in your template HTML editor via the following steps. From inside your blog's dashboard, click on Template from the left sidebar. Now, Be careful to select Blog1 Widget from the list. Do not select any other, as it will reset other widgets to default as well. This will solve the problem most of the times, but there's a big problem. You will lose the customization in your Blog Widget. So if you want to preserve the look of your current widget, then I'd suggest you use the alternative geek's way. This isn't as geeky as it sounds. All you have to do is replace a couple lines of code with another. From inside your HTML editor, press Ctrl + F and search for "threaded_comments". You will see a chunk of code as shown below. Carefully look at the bolded code, and then replace them with the following line of code. I don't think.. so .. is there any problem using Google+ Comment box !! I m not getting any notifications of the comments my posts receive... is it a problem only with my blog? is there a way to get the notifications?? Same here even iam not receiving comments notification? Assallammualaikum my friend Qasim how are you..? really I like your post and keep in touch tahnk you very much from INDONESIA. Nice post bro this one is really amazing commenting system for blogger blog. Hey Mohammad Bro...A blog is distributing your current template.Have a look on it MBT 2013 Blogger Template For Free. I have already warned the author via comments but they always remove my comments.Do what you want? @Qasim may i ask you something?? Why are you not using G+ Commenting system in your blog? ?Is it because you think you will loose commets because it only possible for those with G+ able to comment.? ?Then read this post on how to use both commenting systen. Great Tutorial Bro.. Keep It Up! I have tried this on my blogger blog and it works but sometimes it automatically hides on my blogs. I mean to say when i add google comments on my blog, it hides my blogger comments? why?? a great author. you really made it easy for us to implement google plus comment system on our sites. Great Post! But you might just want to try having social networking groups , it would be really interesting! but now I want you to help me to make recent comment in google+ comment,, thanks mohammad..
Good post. I'll surely try this out . This worked great! Thanks for the tips! Hi, this tweak works in my other blog but on Trendsetternews.com it does'nt work properly. only once, I replaced it once but it's not working, I tried to find it more than one time but it found only once. Hi, I replaced the blogger comments with google+ comments. Now i have few questions here. Can i moderate the comments? The comments link in the sidebar disappeared. Is there any easy way to monitor all the comments? It is my first time that your tip is working for me i think this is the best tip. When ever i was searching about some issues on my blogger your site is the most viewed one but none of my issues were fixed. This is first Thanks for the post.